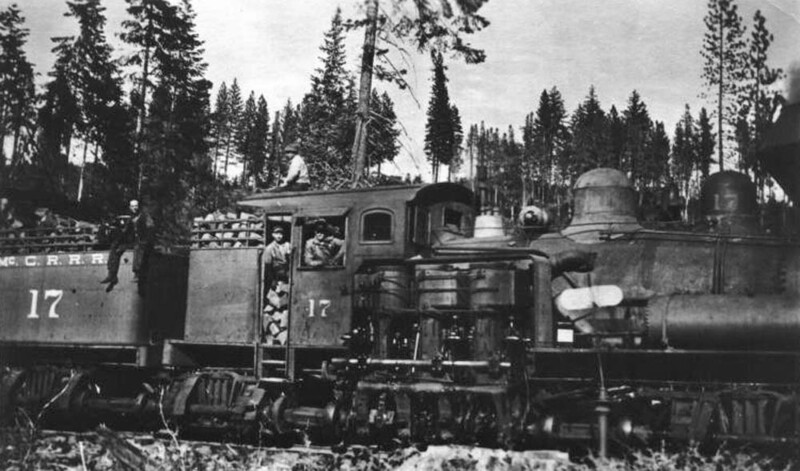 The #17 featured in a post card advertisement produced by the McCloud River Lumber Company. The No. 13 in the bottom left corner of the card refers to the number of this card in their series...not the locomotive number. Jeff Moore collection. 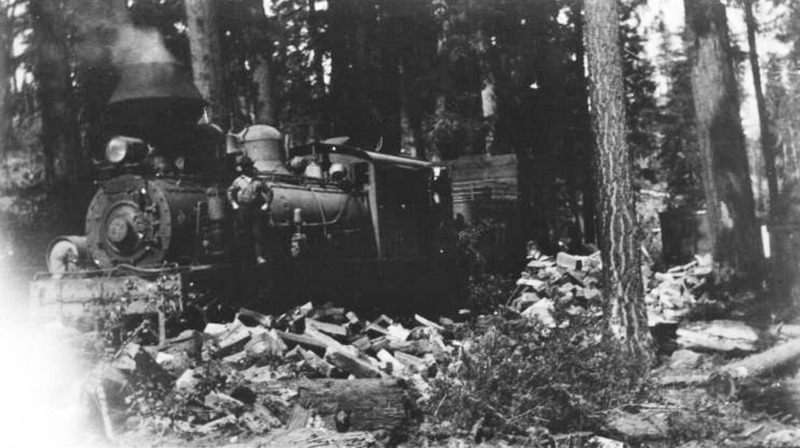 The #17 with a log train out in the woods. Photo from the Fred C. Stoes collection and is courtesy of Yesteryear Depot. Another shot of the #17 switching a landing in the woods. 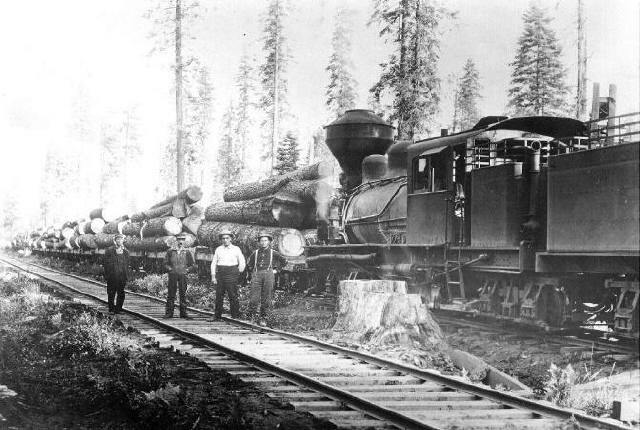 Photo courtesy of Heritage Junction Museum of McCloud, Inc. The #17 has evidently just been fueled, judging by the amount of wood piled inside the cab. Photo courtesy of Heritage Junction Museum of McCloud, Inc. 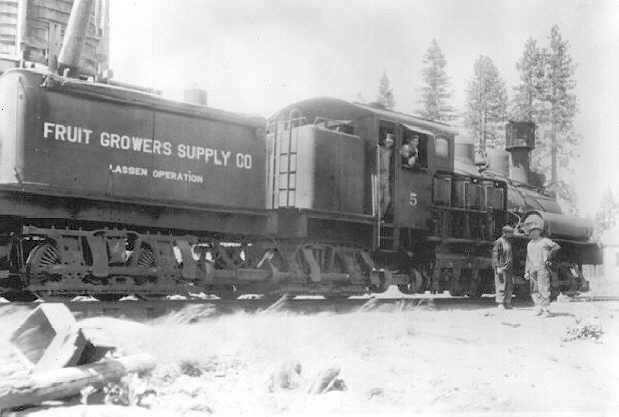 This photo is of the locomotive in service as Fruit Growers Supply Company #5 on their logging railroad out of Susanville , CA . Photo is from the Jimmy Bryant papers in the University of Nevada-Reno Library, Special Collections.